Big data migration is converting data from the traditional database to the cloud database. The concept of big data is a recent one. Big data works with cloud computing. An existing business has emerging opportunities. As a result, there is a scope of emerging data. But their traditional database is not capable to handle with a large volume of data. Moreover, it is not possible to work from various place with an existing traditional database. On the other hand, if the disaster arises there need a backup. Because of all the issue, the concept of big data becomes so crucial. Moreover, it requires a standard redundant storage to store all valuable big data. 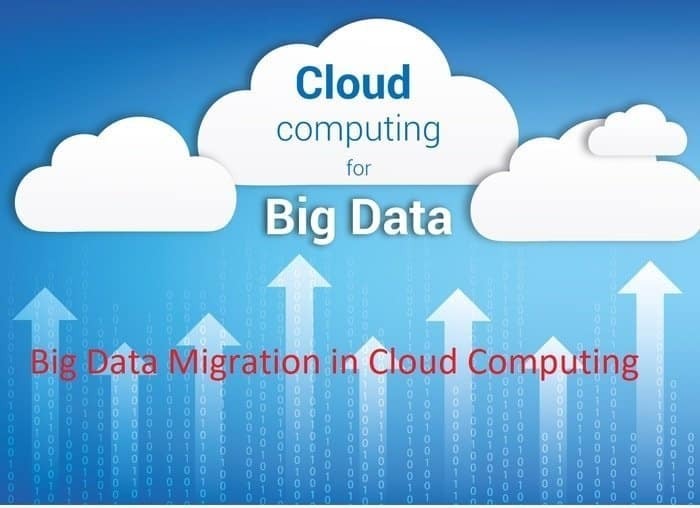 Since then the concept of Big Data Migration in Cloud Computing becomes popular. Big data means a large volume of data. It can be structured and unstructured based on requirement. The volume of data increases from day to day working basis. Generally, the term big data is a phrase. It deals with the large volume of data. The data is complex and difficult to handle on the traditional database. Since cloud computing comes forward to migrate the data. In the real scenario, the data of most enterprise data is too bigger to process on the existing database. As a result, they need to use the cloud database. According to some data expert, these data sets are so voluminous that without special software it is difficult to handle. Big data include search, sharing, transfer, visualization, querying, updating, capturing, data storage, data analysis, information privacy, and data source. Big Data Migration means converting the existing big volume of data to any other relevant and secured storage. Basically, the concept of big data migration is transferring data to the cloud database. Cloud use several algorithms to transfer data to the cloud. Moreover converting big data involve Extract-Transform-Load (ETL) process. The challenge rate is higher to migrate big data. Now we will discuss the ways to handle common mistake of Big Data Migration. The process of converting big data is quite difficult. It may be overwhelming because the organization spends maximum time and effort. Because of it, business misses out more critical aspects. On the other hand, the ownership of data is a vital question. The data governance policy has to review. Cleansing data means to move out the garbage of data. Actually, it is a new system. There are many garbage’s inside the data because of day to day operation. If the garbage data is stored in the cloud database it will occur extra cost. Since the concept of big data migration is new so there may be a lot of mistakes. For this reason, we recommend testing the load before migration. You can go step by step. IT team of your organization is responsible to migrate the data. Big data migration is not like your traditional database. The cloud storage is not like your in-house storage. So give the responsibilities to cloud service providers. Your employee may vanish all of your data and money. So contract with a good cloud service provider. The IT team may be responsible to migrate data. But the ultimate owner is the business user. It is important to understand the requirement of business. Compare the price of a different cloud storage provider and take the final decision. Cloud computing is the redundant storage of data on different location. The purpose of cloud computing is anywhere and anytime availability of data. The big data is inter-related with cloud computing. Without cloud computing big data is incomplete. The business leaders search for the best big data cloud service solution provider to migrate big data. Because it is meaningless to handle the data without a redundant and real-time server. The Google cloud offers access to data storage, analysis, and processing of data. It is a cost-effective solution for the business. When the volume of data increase then Google offers to increase the storage capacity. They extend their hands to avoid complex on-premise traditional database. Google cloud have pay as you go manner. They provide big data migration service. Basically, they are data migration consultant. They asses the big data and suggest a solution for their client. XenonStack also provides big data migration infrastructure to optimize data at a higher level. Big Data Integration Solutions, Data Lake & Data Warehouse and Big Data Governance and Management are their popular service. Auriga is Elite Software R&D Services Since 1990. They provide Business intelligence, Big Data, and smart analytics software. Auriga follows fact-based management and data-driven decision making. They support healthcare specialists to find appropriate and actionable insights from loads of patient data. By this way, they avoid preventable diseases. The Internet is the must for big data migration. High-speed internet will give you extra advantages. A dedicated speed needs to get an appropriate benefit. Otherwise, it will be meaningless. Security is the major concern for the organization. So the cloud service provider caters several options. Cloud Antivirus is one of them. Some cloud service provider offers different service models. The other threats are ransomware, Cloud Abuse, Phishing attacks and Denial of Service attacks. Backdated employ or owner may not understand the importance of big data migration. Big data is the asset of a company. It the organization does not go for big data they may hamper. To convince the uneducated owner is another challenges. Most of the cloud service provider charge quite high charge. After the cost-benefit analysis, big data migration may not cost effective for the organization. So it is recommended for the feasibility study of the actual requirement. Agreement with the vendor is another vital issue. The user got trap under a service level agreement. It is difficult to follow different terms and condition. On the other hand, shifting vendor is almost impossible. So big data is actually big. A company should not handle the risk of big data. In this case, you must know what you are doing and how to revert back if anything goes wrong. I hope this tutorial will help you to understand what is Big Data and what to consider while going for its migration into the cloud computing system. Next articleArtificial Intelligence: How It’s Transforming Into Cloud Computing?